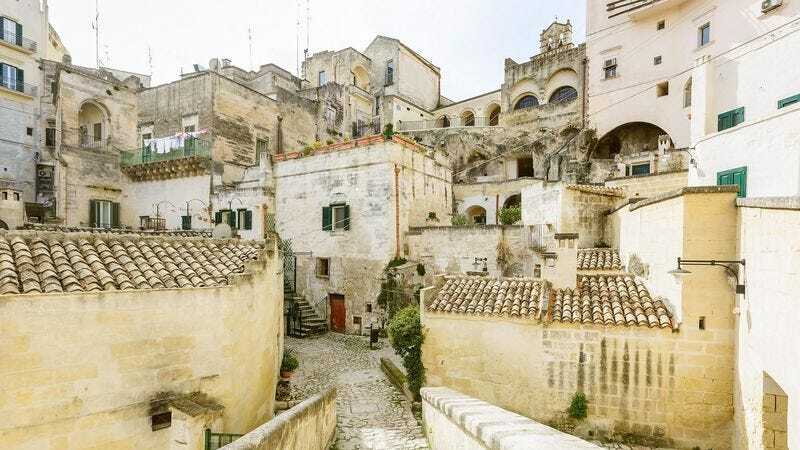 MATERA, ITALY—Explaining that there really isn’t much else to do in the sleepy hillside community, residents of the rustic Italian village of Matera told reporters Wednesday they’re currently just killing time between lavish wedding feasts. “Of course we’d all love to be seated at a long wooden table with the bride and groom in the center, sharing dozens of bottles of red wine, and joyfully cheering as a roasted pig arrives, but you just can’t have that every day—so right now we’re pretty much just sitting around staring at the clock,” said local farmer Giannozzo Lombardo, 67, adding that he had nothing to do but twiddle his thumbs until the butcher’s son from the next town over finally proposed to the Marchetti girl, providing the opportunity for him and his fellow villagers to once again merrily dance the tarantella to the melodies of traditional folk musicians while small children chase chickens across the town’s piazza. “To be honest, for the past three weeks we’ve just been bumming around all day long waiting for the next chance to festively parade through the cobblestone streets as all of the village’s church bells chime. Sure, it’s always an incredible weekend when we all toast the newlyweds and break into song together, but then it goes right back to being fairly dead around here as soon as we bestow our coins and gifts on the couple and then gather in the road to wave goodbye as they leave for their honeymoon in a donkey cart.” Lombardo added that he was thinking of asking for the old Pavesi widow’s hand in marriage just to get things rolling again.